TV host Kevin Garnet of “Area 21” invited four other members of the 2008 NBA world champion Boston Celtics, the players that was invited on the show are the recently retired Paul Pierce, retired Glen “Big Baby” Davis, Kendrick Perkins and the Chicago Bulls point guard Rajon Rondo and obviously Ray Allen who was part of the Celtic’s “Big Three” was not invited. 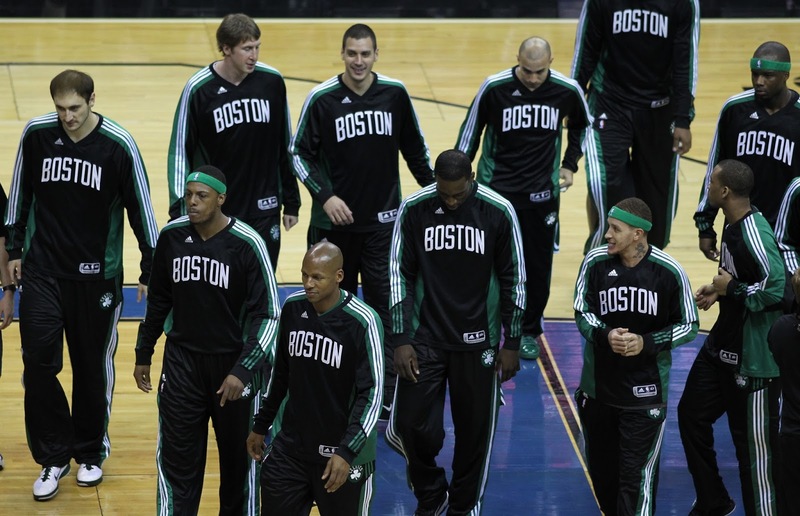 The five ex-Celtics player reminisced their bonding and their brotherhood during their era in Boston and their relationships with their former teammates Ray Allen who left Boston Celtics during the 2012 free agency to join LeBron James and the Miami Heat. Ray Allen was highly criticized by his former team mates, especially Kevin Garnet who felt disrespected after Ray Allen’s way of handling his exit out of the Celtics organization. Garnet and Pierce felt betrayed after Allen leaves Boston without informing them or giving them a heads up that he already decided to leave the team. Ignoring the brotherhood they built inside and out of the Celtic’s organization and furthermore worsened when he joins their arch rival team LeBron James Miami Heat that eliminated them in the 2011 Eastern Conference semifinals and in a seven-game war in the 2012 Eastern Conference finals. During the shows Garnet said that his situation with Ray is very sensitive. When he joined the Heat Garnet felt that Allen moved on and went to pursue another ring turning a more a more lucrative offer to stay in Boston. It’s been five years that have passed when the decision of Ray Allen leaving Boston Celtics, but it seems that Kevin Garnet and Paul Pierce still live today holding a grudge in their heart over what Ray Allen did to them? Is it this is the time that they forgive one another after all their career is already over. Coincidentally, former Celtic’s Big Three ended their NBA Career with a different team, Garnet retired in Timberwolves uniform, Pierce retired in LA Clippers uniform while Ray Allen retired during his free agency his last team was with the Miami Heat. No Comment to " Ray Allen Criticized On TV Shows “Area 21” for Leaving Boston Celtics "